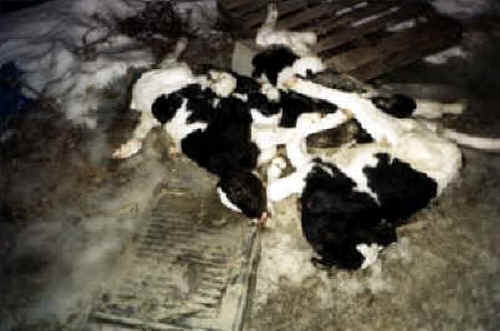 (Cattle Exploitation - Veal - 14) This is a dead pile of calves behind a veal farm. 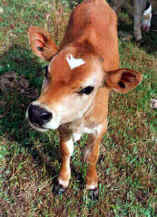 Because of the low iron diet and unsanitary crowded conditions, the calves are quite vulnerable to disease. From our understanding of Biblical teachings, this industry is evil, and everyone who eats veal, contributes to this atrocity. And remember, if there was no demand for dairy products, these calves would not have been born to suffer and die.